The Tri-Zone Brushing Boot from Equilibrium Products is a great value, super-stylish boot, perfect to use every day for hacking, flatwork and schooling. The new curved shaping is contoured to fit comfortably around the horse’s leg to provide good protection from brushing injuries, whilst looking modern and stylish. Made from high quality neoprene, it’s tough, flexible and comfortable to wear. The hardwearing outer strike pad protects against brushing injuries caused by knocks, bumps or abrasions. Can be worn on front and hind legs as required, with double or triple hook and loop straps for a secure fit. Can I jump in the Brushing Boots? 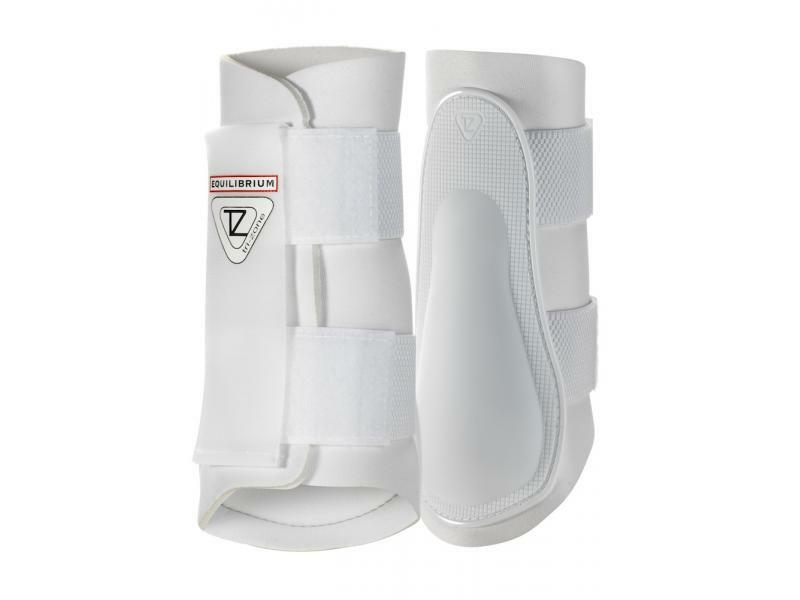 Yes, Tri-Zone® Brushing Boots will give some protection for low level jumping. 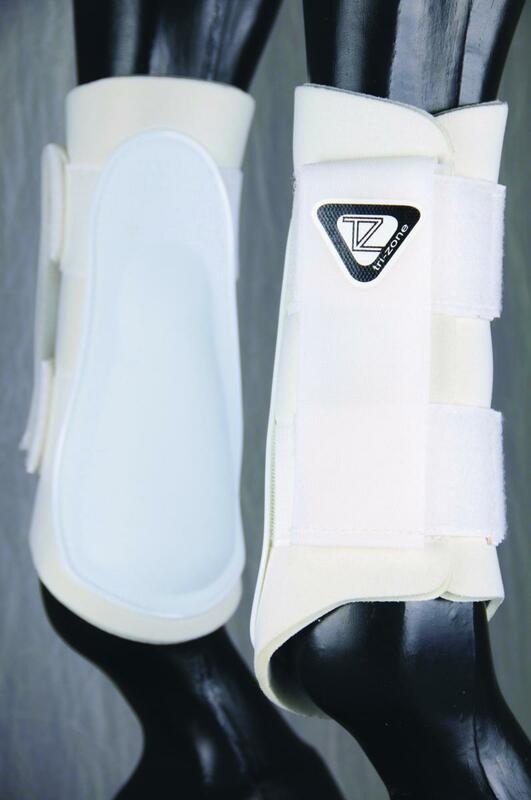 For increased protection, use a specialist jumping boot such as Tri-Zone® tendon or cross country boots. Are the Brushing Boots suitable for my horse who has a severe brushing action? 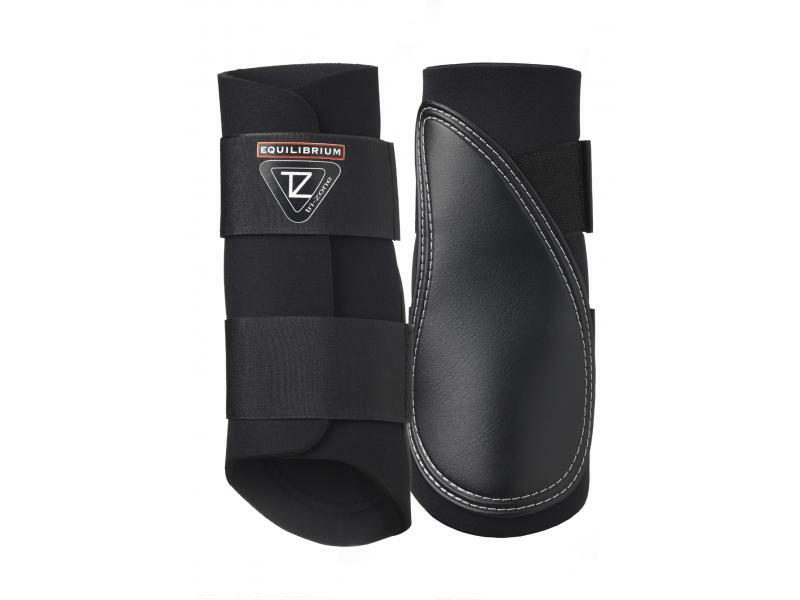 Yes, there is a hard strike pad to protect the horse from brushing injuries or abrasions. Close straps and wash in lukewarm water using mild detergent. Rinse thoroughly. Do not tumble dry or dry over direct heat such as radiators. Below are some recent questions we've received regarding Equilibrium Tri-Zone Brushing Boots, including answers from our team. Would medium be ok on fronts of a tiny legged 15.2 tb? The guide provided on the product page gives measurements in cm and inches. A medium should be suitable but it would be best to measure just to make sure.